Amy Cross, senior content marketing manager at NGDATA, is a creative marketing/communications professional with over ten years of experience in strategy and implementation of integrated lead generation and brand awareness campaigns, content strategy, planning and writing, digital and website optimization, social media, graphic design, public relations, project management, client relationship management, advertising and research. We’ve all been on the receiving end of a lackluster customer service email. Think back to the last one you received, and try to pinpoint why it was so bad. Perhaps it was uninspiring, uninformative, or just plain missed the mark. Or worse still – they got your name wrong (sadly, it happens!). Take a moment to think about how that email made you feel. Chances are that receiving such a poorly thought-out email made you feel undervalued as a customer. It might have made you question the integrity of the brand, and subsequently encouraged you to make the switch to a competing brand. Now think – are your company’s customer service emails doing the same to your customers? Brand positioning experts suggest that the better you understand your customers, the better you can position your brand. While your customer service emails may not be committing any major email faux pas, there’s always room for improvement. After all, your customer service emails should be successfully driving customers to your services and products, not away from them. So if your emails aren’t inspiring, informative, and on point, you’re missing a valuable opportunity to engage with your customers. Here are 5 tips for sending better customer service emails that you can implement easily today. Every email you send out to your customers is sending them a message about your brand. This is especially true of your customer service emails. Just like you would go to great lengths to make captivating email newsletters or abandoned cart emails, you need to start putting more thought into the humble customer service email. After all, customer service emails are often the first time many customers will directly engage with your brand, and as they say, first impressions count. But it’s not just about wooing first time customers with your exceptional customer service. Loyal customers will also turn on you at the drop of a hat if your customer service isn’t up to scratch. If that sounds harsh, why then are there so many cases of customers responding to how poorly their favorite brands treated them? It’s therefore critical to first reflect and strategize about the message you want to convey to your customers before you overhaul your email strategy. Pinpoint what values you want to communicate, and how you can effectively reflect them in your customer service emails. For example, if you want to be known as a customer-centric and responsive brand, make sure to respond within 24 hours. Or if you want your brand to have a friendly image, set an open and approachable tone in all of your emails. Whatever your message, there’s a way to uphold it in your emails. The key is to strategize how you’ll achieve this before clicking “send,” as this will help you drastically improve the quality of your customer service emails. Personalizing your interactions with your customers is a fundamental rule of customer experience management, but so many companies still fail to follow it. Adding thoughtful personalized touches throughout your customer service emails is an incredibly simple way to make a substantial impact on customer engagement levels. If you’re already doing both of these things, then you’re already on the right track. However, there are an alarming number of companies that have still have not received the memo! 3. Stop. Writing. Stilted. Emails. If we’re going to be frank, customer service emails can be a bore to read. 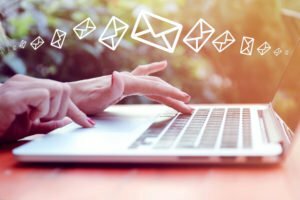 If an email sounds stilted and robotic, it can be difficult for customers to feel like they’re not just another ticket to be completed. The good news is, your customer services emails don’t need to be this way. Imagine if your company became known as a company that writes incredible customer service emails. What do we mean by incredible? You simply have to start writing emails that are personalized (see tip 2), friendly, and sound like an actual human being wrote them – rather than a canned automated response. Never underestimate the power of getting these small details right. Excellent customer service emails create return customers, help boost your brand reputation in the public eye, and can ultimately add to your bottom line. If your company has been known to send uninspiring customer service emails, making the changes above will result in perceivable changes in your customer satisfaction levels. Look at a sample of your customer service emails and put yourself in your customers’ shoes. Ask yourself: do these emails answer the customer’s questions in a clear manner, or do they cause further confusion and frustration? Assessing the usefulness of your emails in an honest manner will help you identify what’s working – and what’s not. Lack of clarity and confusing language are major issues many customer service emails suffer from. No customer wants to try to decipher what you’re attempting to say. This will only cause them to become agitated and unsatisfied with your customer service, and eventually, your company as a whole. The solution is to start ensuring that each and every email is written in the clearest manner possible. Even complex problems can be responded to in a more streamlined way with a bit of effort. At the end of the day, the most important thing is to actually answer a customer’s query, so that they leave your email exchange feeling like there was a proper resolution to their issue or problem. A good tip to identify if your emails are too unclear is to see the number of follow up emails you receive. If they keep rephrasing their question, chances are it’s on you to be clearer in your responses. Did you know that the average time it takes for businesses to respond to an email complaint is 44 hours? So that begs the question: how does your business compare? If your company isn’t following up on customer service emails in a timely manner, your customers will feel like their concerns aren’t important to your business. Even 44 hours is considered quite long by customers to receive a response. Just look at this study, which highlights that over 80% of surveyed customers expect a response from customer service within 24 hours. A swift reply time really does make a significant difference to how your customers’ view your brand. If they can rely on your company to answer their queries in a timely manner, they’ll be far more likely to trust your brand and continue using it. It’s certainly no coincidence that the largest 100 internet retailers in the US have an average response time of only 17 hours. All top brands are successful in part because they show their customers that they genuinely value them and their time. So remember, if you also want be a leading brand, it all starts with exceptional customer service. The $3,500 Investment that can raise your level of Customer Service! Register today for this comprehensive online course guaranteed to raise the level of Customer Service your company delivers. The Customer eXperience Executive Online Academy (CXEO) follows the trademarked X Commandment methodology used by The DiJulius Group with some of the top companies in the world. The Customer eXperience Executive Online Academy coursework is designed to prepare leaders like you, looking to move into a whole new level of leadership in your career, to the benefit of both yourself and your company. Students will require 10-15 hours a month to learn the importance of every aspect of this methodology, and how to implement and execute on each one. It is truly revolutionary. The course navigation is very user-friendly. I can go back to completed courses to refresh some ideas and concepts. We are in the process of creating our Service Vision and Pillars with the team and are looking forward to the “A Day In The Life” exercise.